Virgina’s Roanoke News recently covered the grand opening of Carilion Clinic’s new Center for Simulation, Research and Patient Safety. The $5 million simulation lab brings an aspect of its medical education out of the basement and into real-world operating, trauma and delivery rooms. The new sim center is designed so that thousands of health care providers and students can practice procedures that, once trained, they will perform on patients. Students will train on the same equipment that Carilion uses at Roanoke Memorial Hospital, and practice in a trauma room and operating room that look much the same as the hospital’s. The center had been housed in the basement of the medical education building at Roanoke Memorial and served about 2,000 learners a year. Now it’s expected to reach at least twice as many. “This is a huge expansion for us. Over there we had one patient room and a control room and one open area that we used as a skills area that was turned over daily, multiple times a day, just because of a lack of space,” said center manager Misty Flinchum. The center will be used by interns, residents, medical and nursing students and paramedics. Both new hires who need to practice techniques with teams and more seasoned employees who need to develop new skills will use the lab. The simulation center also will allow staff members to review cases that went badly and look at what could have been done differently, and to test equipment. The simulated operating room includes an operating table with a laparoscopic training tower, monitors, pan-tilt zoom cameras, anesthesia machine and other equipment that students can use to practice procedures and techniques. Julie Morris, simulation lab education facilitator at Carilion’s new Center for Simulation, Research and Patient Safety, holds a premature baby mannequin near a pregnant woman mannequin whose stomach can be changed for birthing situations from normal to breach or even C-Section. The program’s focus is on the patient and on helping faculty, staff and students at Carilion Clinic find better ways to provide safe and effective care to their patients. 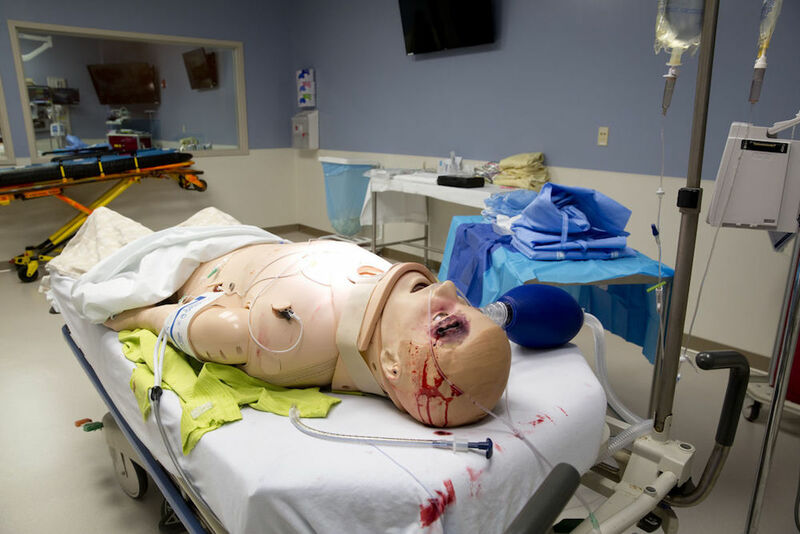 By incorporating numerous models and simulations, the simulation center is able to service a wide variety of educational levels that may include physicians, residents, medical students, nurses, and allied healthcare personnel or multidisciplinary teams. Read the Full Carilion Article on Roanoke News’ Website Today!